Find a wide array of gas and electric furnace parts for your manufactured home. 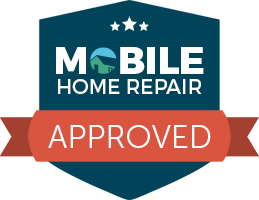 We have many hard-to-find motors for Coleman, Intertherm, Miller, Duotherm, Nordyne, Rheem, Lear Seigler, Holly, Preway & most any other brand for residential, mobile home and travel trailers. 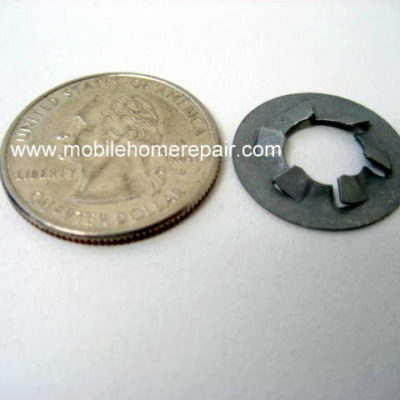 We have the hard-to-find electrical parts that make repairing your heating & cooking appliances safe. Included are high-heat wire, wire terminals, glass tape, wire plugs, Molex pins & much more. High heat porcelain wire connectors withstands temperatures up to 302 deg F. Wire gauge 18-12. Designed for heating & cooking appliances. 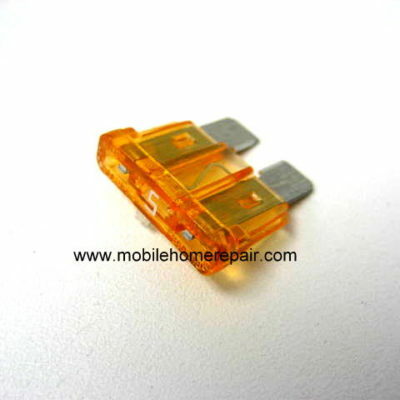 Male 2-circuit Molex plug. Accepts male .084″ pins (#02-08-2004) sold above. 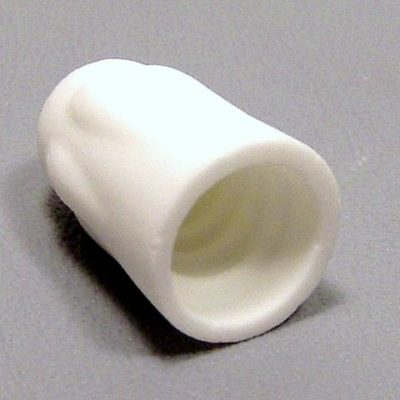 Fits inside female plug #50-84-2020. 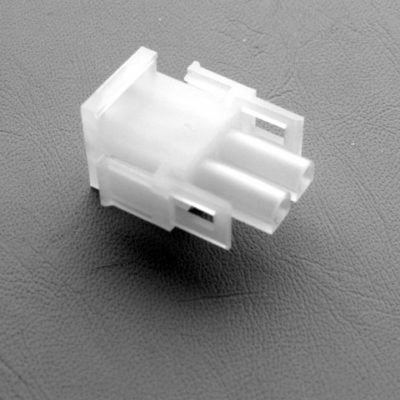 Female 2-circuit Molex plug. Accepts female .084″ pins (#02-08-1002) sold above. Fits over male plug #50-84-1020. 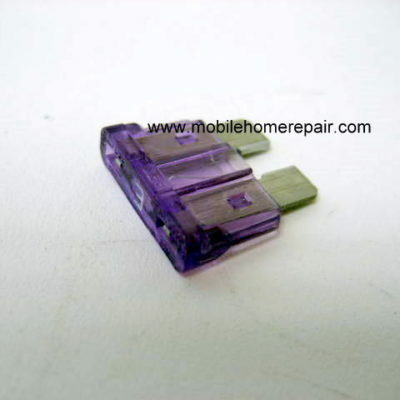 30 amp single use cartridge furnace fuse. 2″ long by 0.50″ in diameter. Latch for furnace door. 1.25″ long. Price is for 1 latch. Two are shown in picture for identifying purposes. Replaces 02131399000. Push nut fastener. For use with 632330 pawl latch. 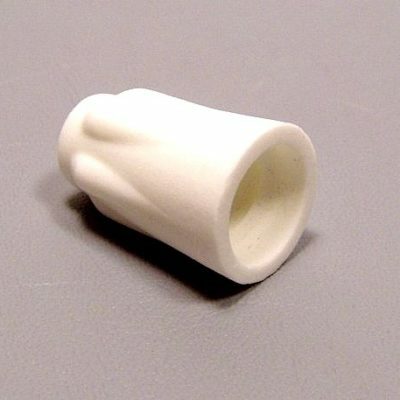 3/4″ diameter. Replaces 606243 & 606275. 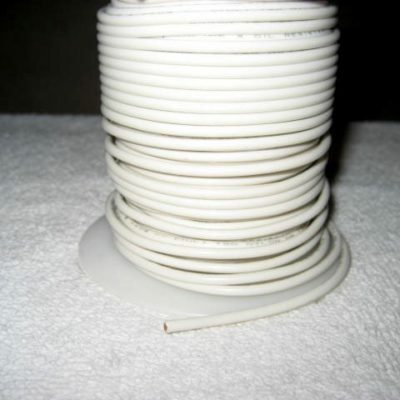 High heat porcelain wire connectors withstands temperatures up to 302 deg F. Wire gauge 18-14. Designed for heating & cooking appliances. 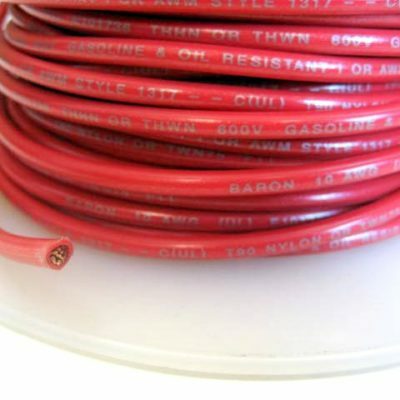 Heavy red appliance wire is the equivalent of type 105C thermoplastic. Baron 14 awg, stranded, THHN or THWN, 600V, 105C, T90 Nylon or TWN 75 FT1. Nominal pvc insulation .016″, nominal nylon thickness .005″. Adjust quantity for longer lengths. 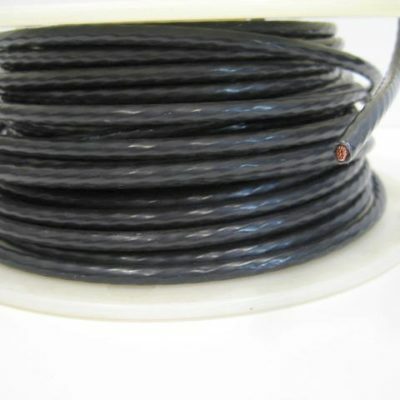 Heavy black appliance wire is the equivalent of type 105C thermoplastic. Baron 10 awg, stranded, THHN or THWN, 600V, 105C, T90 Nylon or TWN 75 FT1. Nominal pvc insulation .016″, nominal nylon thickness .005″. Adjust quantity for longer lengths. 5A ATC fuse found on some circuit control boards. Rated up to 32V. Also known as part number ATC-5, B1170553, 025-30382-700 & 02530382700. 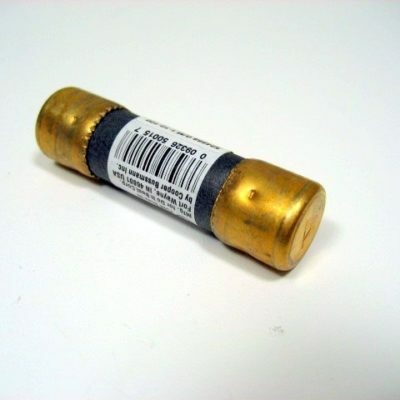 3A ATC fuse found on some circuit control boards. Rated up to 32V. 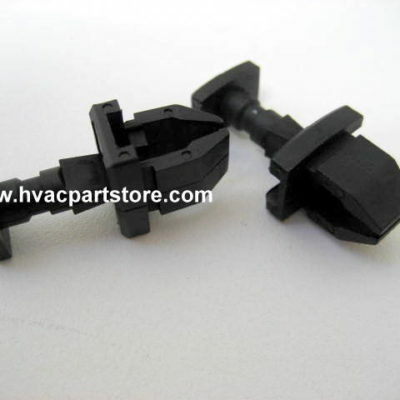 Also known as part number ATC-3, G32-644, 025-32746-026 & 02532746026. 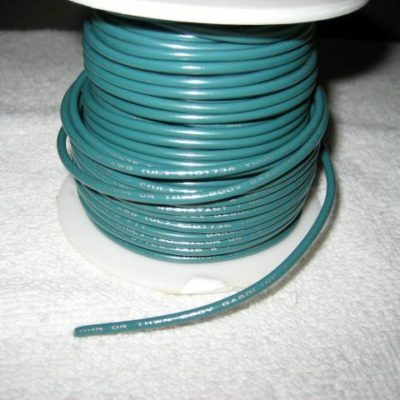 Green appliance wire is the equivalent of type 105C thermoplastic. Baron 14 awg, stranded, THHN or THWN, 600V, 105C, T90 Nylon or TWN 75 FT1. Perfect for most internal furnace wiring harnesses. Nominal pvc insulation .016″, nominal nylon thickness .005″. Adjust quantity for longer lengths. 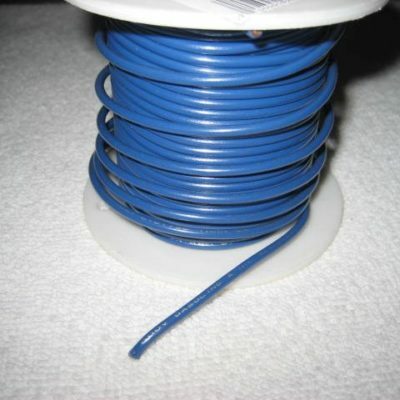 Blue appliance wire is the equivalent of type 105C thermoplastic. Baron 14 awg, stranded, THHN or THWN, 600V, 105C, T90 Nylon or TWN 75 FT1. Perfect for most internal furnace wiring harnesses. Nominal pvc insulation .016″, nominal nylon thickness .005″. Adjust quantity for longer lengths. 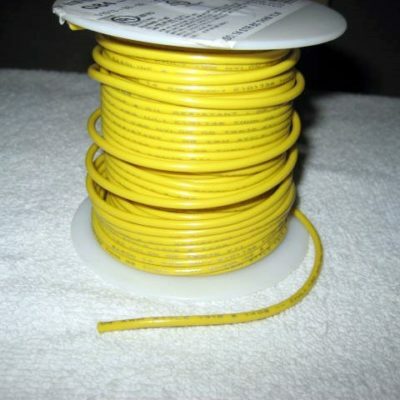 Yellow appliance wire is the equivalent of type 105C thermoplastic. Baron 14 awg, stranded, THHN or THWN, 600V, 105C, T90 Nylon or TWN 75 FT1. Perfect for most internal furnace wiring harnesses. Nominal pvc insulation .016″, nominal nylon thickness .005″. Adjust quantity for longer lengths. 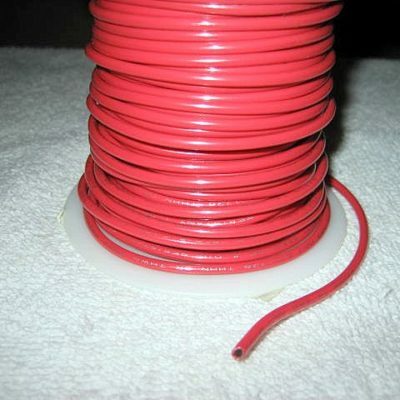 Red appliance wire is the equivalent of type 105C thermoplastic. Baron 14 awg, stranded, THHN or THWN, 600V, 105C, T90 Nylon or TWN 75 FT1. Perfect for most internal furnace wiring harnesses. Nominal pvc insulation .016″, nominal nylon thickness .005″. Adjust quantity for longer lengths. White appliance wire is the equivalent of type 105C thermoplastic. Baron 14 awg, stranded, THHN or THWN, 600V, 105C, T90 Nylon or TWN 75 FT1. Perfect for most internal furnace wiring harnesses. Nominal pvc insulation .016″, nominal nylon thickness .005″. Adjust quantity for longer lengths. 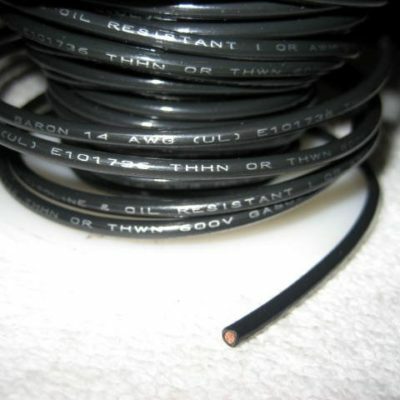 Black appliance wire is the equivalent of type 105C thermoplastic. Baron 14 awg, stranded, THHN or THWN, 600V, 105C, T90 Nylon or TWN 75 FT1. Perfect for most internal furnace wiring harnesses. Nominal pvc insulation .016″, nominal nylon thickness .005″. Adjust quantity for longer lengths. 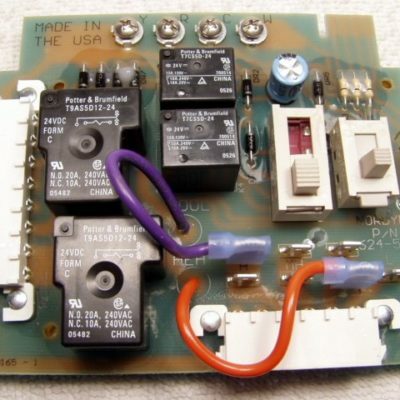 Circuit board – 2 wire relay. Generally found inside an a/c control box. Discontinued. For a replacement, order control box number 902987 along with thermostat 903992 as a replacement. New 5-wire thermostat wire also required. Replaces 624-567 624-5670, 624567, 6245670 & 624567-A.